Free weapons vector graphics. 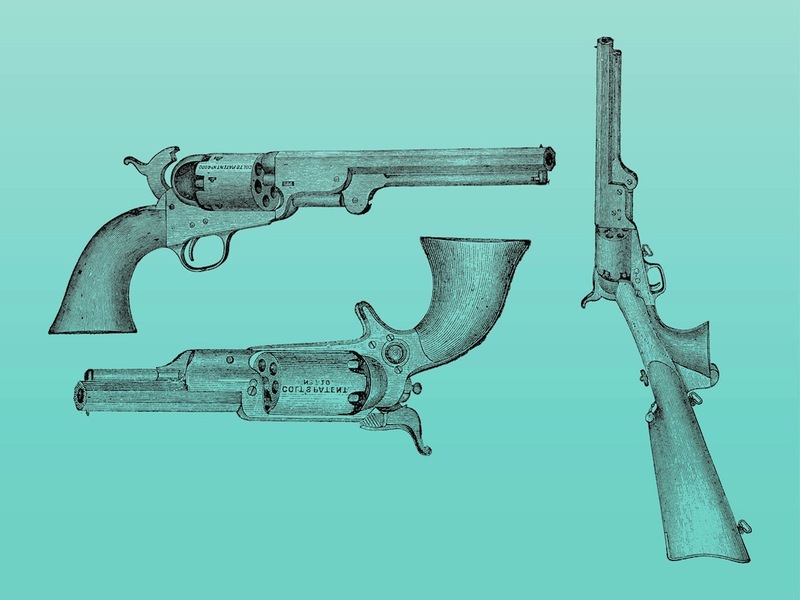 Detailed hand drawn vector graphics of antique Colt guns. Vintage revolvers with many details on all the parts. Free vector retro sketch collection for all your weapons, weaponry, pistols, firearms, revolvers, guns, shooting and gunslingers designs. Download gun sketches for all posters and flyers. Tags: Colt, Guns, Hand Drawn, Old, Revolvers, Sketches, Vintage.